The Gatling Gun takes a moment to start up, but fires rapidly once it does. It consumes Quicksilver Bullets quickly, but this isn't quite as bad as it seems, since you'll fire multiple shots per bullet. When you hit your target, only every few shots will actually deal damage. You can still move around while firing bullets, but only at walking speed. If you need to avoid something, it's better you roll or quickstep out of the way, rather than run or dash, since you'll otherwise need to wait for the weapon to be completely lowered. 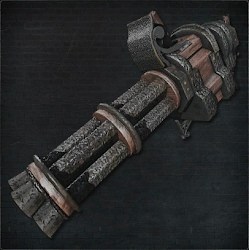 You can use Bone Marrow Ash on the Gatling Gun, but this won't affect its damage, so it's a waste of the item. 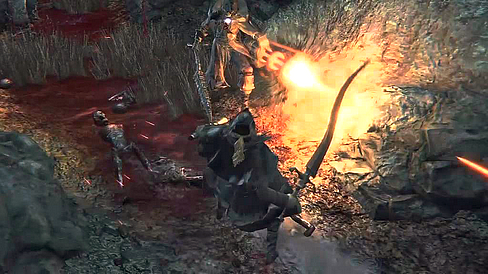 Dropped by (Main Game): Enemy Hunter with Gatling Gun, in Hunter's Nightmare. After the Grand Cathedral area where you go to the right into the tunnel. Follow it down until you reach the blood pools with all the spiders. Head to the right side of those blood pools (behind the car is a path) and there will be a tunnel. There's an enemy in there with a Gatling Gun, and once you kill them you get the weapon. More effective in close range due to higher bullets spread. Most humanoid enemies including players will stumble when being hit. ► For all pistols, the muzzle flash occurs on frame 10, with the bullet firing on frame 11. The total time for all pistols is 60 frames total. ► The muzzle flash occurs on frame 10, with the bullet firing on frame 12. 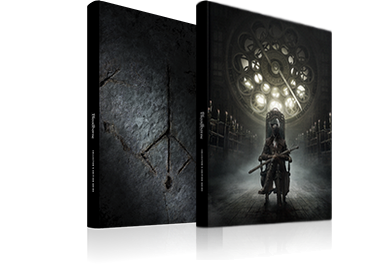 The Blunderbuss' animation takes 60 frames total, while Ludwig's Rifle and the Piercing Rifle take 65 frames. ► Both cannons have a muzzle flash and fire their projectiles on frame 15. The Cannon animation takes 95 frames total, and the Church Cannon animation takes 75. ► The Flamesprayer and the Rosmarinus begin firing on frame 6. The Gatling Gun begins firing after 18 frames. Firing a single shot from the Flamesprayer or Rosmarinus lasts 20 frames total. Firing a single shot from the Gatling Gun takes 45 frames total.